MOSCOW, May 4. /TASS/. A forest fire situation monitoring helicopter Robinson with a crew of three has crashed in Bashkortostan, regional emergency services have told TASS. "According to information available at this point the helicopter crashed 30 kilometers south of the community of Inzer, the Beloretsk district. There were three people on board. None of them apparently survived," the source said. TASS has no confirmation from official sources yet. 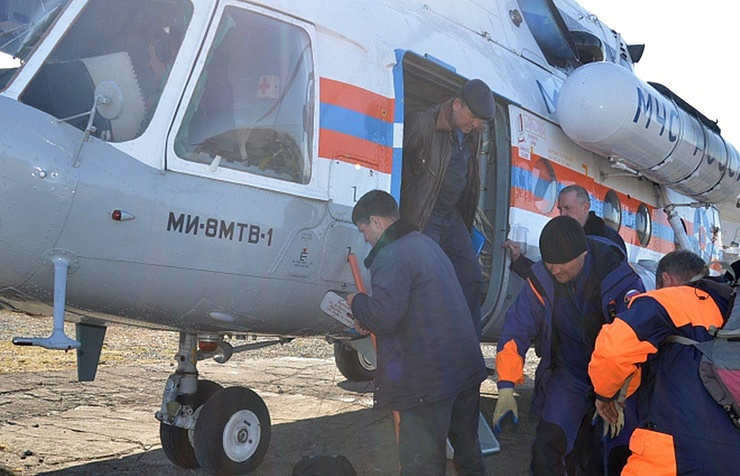 The central regional office of the Emergencies Ministry has told TASS rescue workers are on the way to the crash site. The wreckage was spotted at 16:25 Moscow time, the source said. Local emergency services told TASS the helicopter that was monitoring the forest fire situation might have crashed after the crew made a decision to go ahead with the flight in bad weather. A team of 70 rescue workers is involved in the search and rescue operation. The helicopter belonged to the Lightair company. The news it went missing came at 14:20 Moscow time. The helicopter had left Bashkortostan’s capital Ufa for Beloretsk. The distress signal from its emergency beacon was picked up by a satellite rescue system. The local office of the Investigative Committee has launched a probe.